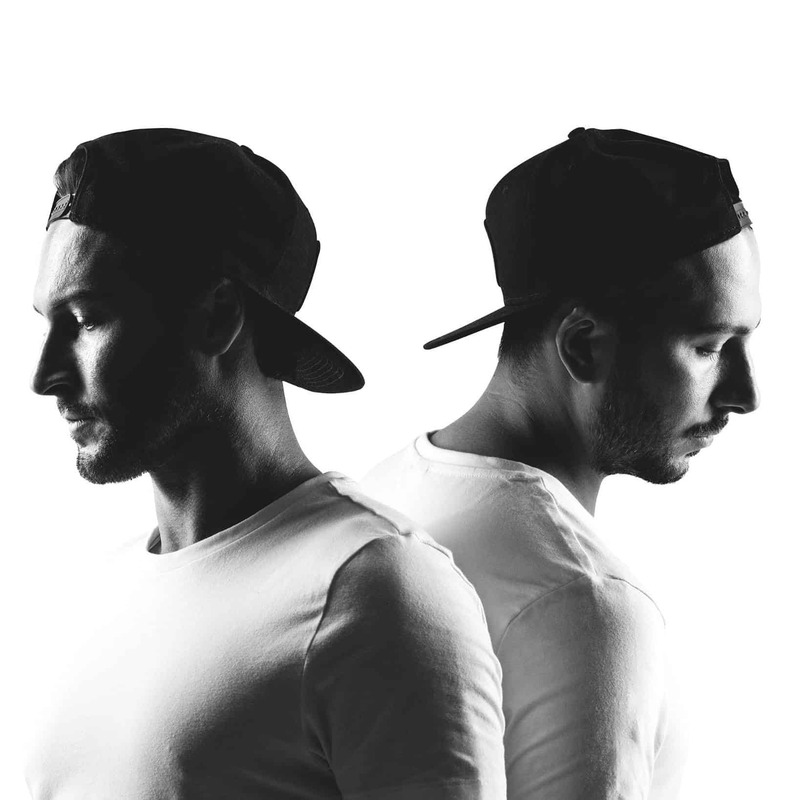 Russian brothers Matisse & Sadko are among their country’s finest music exports. Since their collaboration with Steve Angello on the Size release “SLVR” in 2013, they have been making a name for themselves worldwide for their progressive house masterpieces. Stomping forward with strong momentum alongside Martin Garrix, Matisse & Sadko continue to amaze not only with their releases on their own imprint Monomark Music, but also with major performances on various gigs including Ultra, Tomorrowland, Omnia Las Vegas and Ushuaïa Ibiza. Fresh off the release of their magnificent remix on Axwell Λ Ingrosso’s “Dreamer” and brand new Monomark Radio episode, Viralbpm caught up with the Russian duo to talk about their past, present and future. V1. Towards the end of the previous year, you had two awesome releases. “Witchcraft and “Into You” feat. Hanne Mjøen. For the last one, you also released an official lyric video couple weeks ago. How did both tracks happen? What emotions did you want to create with these tracks? Matisse & Sadko: Yes, everything’s right but let’s start with “Witchcraft” first. We had been playing this track for three years before it was finally released on our own Monomark label. First everybody thought it was a collab with Alesso then some fans alluded to a collab with Martin Garrix. Even a couple of fan vids were made for the track. Thanks to our fans we didn’t have to find a title for the track because everybody called it “Witchcraft” for an unknown reason. At the end of the day the track turned out to be lyric and festive at the same time, just the way we like it most. Sometimes it’s pretty difficult to express certain emotions through an instrumental track but if you manage to do it, your work will certainly draw public attention. We’re glad that our following release with wonderful Norwegian singer Hanne Mjøen saw the light right after “Witchcraft”. It’s a very melodic track with melancholy flavour. Sometimes it resembles a ballad. While listening to it you can be imbued with romantic, blissful mood. We love making a bit melancholic but at the same time good and rapturous atmosphere in our tracks. V2. What do you have planned regarding releases and songs for the coming months? Anything you would like (and can) reveal to us at this moment? Matisse & Sadko: In the near future we’re planning to release two collabs with very serious artists but we can’t say their names for the time being. We’re happy we have such a splendid opportunity to work together with them. Probably one of the most important aims for us this year is developing our own label. We’re eager to release music we feel regardless of tendencies and other label’s opinions. Independence is vital for creative work. So, soon you can expect new releases on our label with new design and new lease of life! Besides that we produce tracks for pop artists. V3. Matisse & Sadko you are working pretty closely with Martin Garrix and of course STMPD RCRDS. Is there anything special about this label? Matisse & Sadko: Yes, Martin is our close friend and it’s great he launched such a successful label. He releases the music which is congenial to him. STMPD is a very friendly label, most of the artists from this label are Martin’s friends but indeed it does not mean that you can release your dilettante work for friendship’s sake. V4. With a heavy and loaded schedule like yours, do you have enough time to focus on other things aside from music related things? Any hobbies or side activities? Matisse & Sadko: This is a very good question because one day you realize you have to be obsessed with what you do to be successful. Music will gradually steal your time, change your daily routine. You will learn how to stay awake for a few days in a row spending all the time in the studio and how to love long flights. Being a DJ and a producer is a vocation and a lifestyle which is an uneasy task for some people (especially for artists’ wives and girlfriends). All our interests are anyhow connected with our work, for instance, there’s nothing better than the opportunity to travel around the world. We always try to combine our tours with travelling to see the beauty of new places. V5. You have worked professionally together for almost 10 years now, are there any hard times or bad moments you are recalling? Did they make you stronger in order to “survive” in a demanding and challenging business like the music industry? Matisse & Sadko: Sure there were many interesting things along the way. At the very beginning of your career you’re always a bit naïve and you think that every person around is your friend. It’s also a mistake to think that after a couple of cool releases you can relax and your success will never end. We went through many hardships, courts, falsehood and even theft of money by the people we worked with. There were times we were so depressed that we wanted to give up and close down the project. Sooner or later you realize you can’t be just shy and creative. There’s a great rivalry, few friends and you can be forgotten very soon if you “hit the snooze button”, you know. V6. How would you say, has your music style evolved over these years? Matisse & Sadko: Well, over the years we’ve diversified our music spectrum. Some tracks have found a more serious sounding. There’s probably one thing left unchanged – we try to make tracks we won’t be ashamed afterwards. Some say there’s always something common in all our melodies and that makes us happy. V7. Are there any major differences in the music business nowadays, compared to the time you started recording and releasing your first major singles? Matisse & Sadko: Sure. Firstly, there appeared many new names in the industry. Every year the quality of sound is increasing. Labels are becoming pickier. It’s more and more complicated to impress music-lovers, to do something special. And indeed, social networks play a very important role in an artist’s career. There’s a fast music stream in which the author’s name often plays a much bigger role than the track itself.